The United States Beet Sugar Association is a government affairs and industry trade association founded in Washington, DC in 1911, and membership in the organization is limited to manufacturers of beet sugar in the United States. Currently, there are nine such firms, operating 22 factories that process refined white sugar from sugarbeets grown in eleven states. 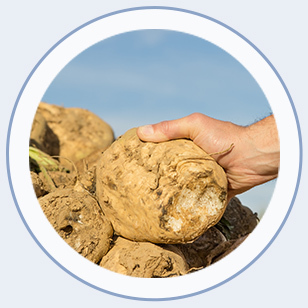 The U.S. beet sugar processing industry is 100% farmer-owned cooperative in structure, and every factory operates with organized union workers. The Association represents the industry before the legislative and executive branches of the Federal Government and monitors related activities in the Nation’s Capitol. It communicates to its membership-as well as to the general public-concerning events and issues appropriate to the Association’s founding mission, and helps coordinate activities of mutual interest with other segments of the domestic sugar and sweetener producing industry as well as other general agri-business and farm commodity groups. The mission of the United States Beet Sugar Association is to effectively communicate authentic information concerning the beet sugar processing industry, encourage the interchange of ideas to members of Congress and to Federal agency officials; and to promote the honorable, economical, efficient and useful conduct of the beet sugar industry in the United States. Copyright 2019 U.S. Beet Sugar Association. | All Rights Reserved.